She is a sixth-grader originally from Osaka and is the former ace of the Namba Dandelions. Back then, she was known as the Speed Star due to her speed with the ball. 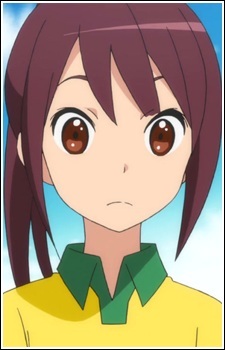 It appears as though her team was also disbanded and she transferred to Shou's school. She has a bit of a complex about boys, saying that they are better than her because she is a girl and in several instances is deeply hurt and angered by it. After meeting Shimizu Misaki and Shou, she learns that women can be great players as well and that there is room for her to get "level up" if she doesn't give up. Erika is cheerful, full of energy, and very frank. She typically plays left forward.